A partnership for innovative ways to source sustainable and healthy food in developing countries between Unido Itpo Italy and Future Food Institute has been ratified. 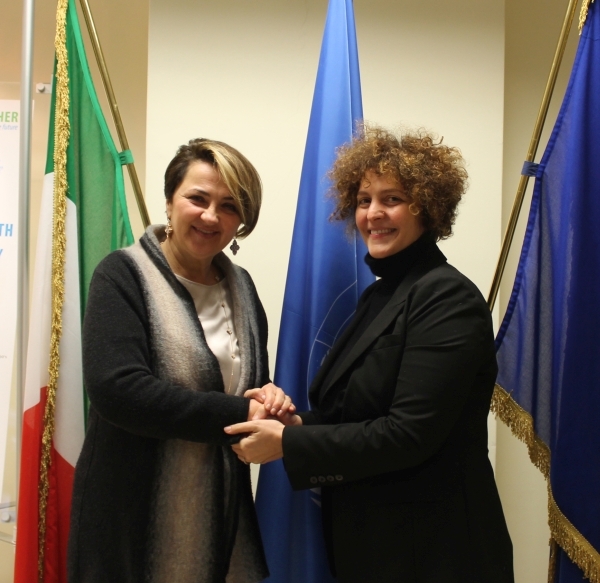 Diana Battaggia, head of Unido Itpo Italy, and Sara Roversi, founder of Future Food Institute, have agreed on taking a step further in their yearlong cooperation in a bid to empower developing countries’ food supply chain. And in order to do so innovative technology and international partnership are key factors. Today’s international agro-food sector, in fact, is in major need of advanced, forward-thinking and ground breaking ways to thrive bearing in mind that sustainable food production, alongside with hunger eradication, is the ultimate goal. This is also the reason behind the creation of an international prize, to be announced at the beginning of February, for start-up businesses and innovators that operate in the agro-business compass. “The cooperation between Unido Itpo Italy and Future Food Institute is truly important and valued not only by us but by both the institutional world and the economic one” said Diana Battaggia. “The will to collaborate in partnership will surely be fruitful as this year’s agenda is filled with activities and projects. As the United Nations – continued Mrs Battaggia – UNIDO ITPO Italy has the moral obligation of supporting innovative processes that benefit developing countries in the sector that contributes to their society the most; this is also why we have made such an effort in the organization of the International Award on Agribusiness”.